Investigators had previously shown, first in autopsies and then with biopsies, that the submandibular gland, the saliva-producing gland in the neck, has the signature alpha-synuclein microscopic pathology of Parkinson’s disease and that the gland can be biopsied to provide an unambiguous confirmation of diagnosis. 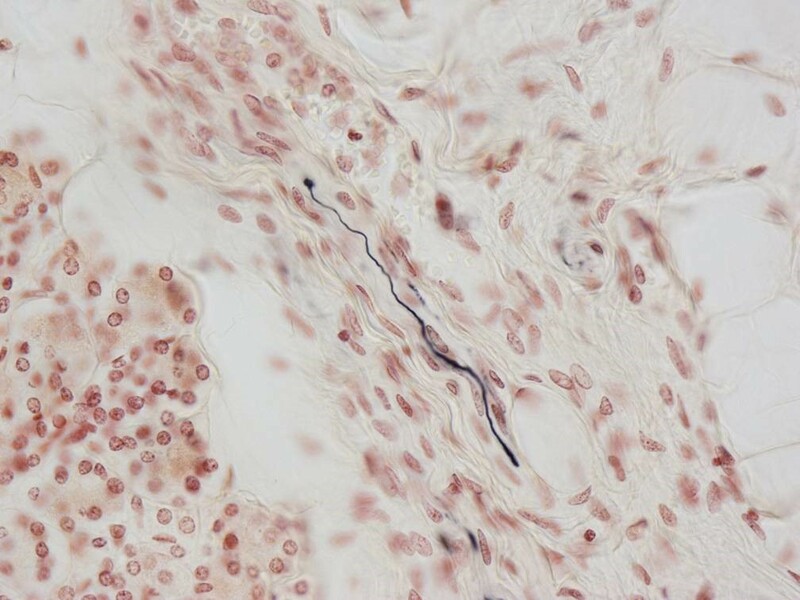 “This new work shows, in autopsies, that the submandibular gland also has the same signature alpha-synuclein pathology in a high proportion of subjects diagnosed during life with dementia with Lewy bodies. Biopsy of the submandibular gland then also may be able to provide a more accurate diagnosis of dementia with Lewy bodies during life,” explained lead investigator Thomas G. Beach, MD, PhD, Head and Senior Scientist at the Civin Laboratory for Neuropathology, Director of the Brain and Body Donation Program, Banner Sun Health Research Institute (BSHRI), Phoenix, Arizona. In this study, submandibular gland alpha-synuclein pathology was found in 42/47 (89%) of autopsies of individuals with Parkinson’s disease and 20/28 (71%) of those with dementia with Lewy bodies, but in none of the 110 control subjects.